Getting tired of the old upgrade cycle? No matter your operating environment, Linux will fit in. Not only that, but Linux servers run on commodity hardware - your old desktop can be your new server! You decide where to spend your budget, not your hardware vendor. Do you have legacy applications you can't do without? With Linux you can virtualise the old server that's sitting in the corner. Linux supports many virtualisation technologies, so you can migrate your applications and servers onto a single hardware platform. Don't want to maintain expensive desktop computers? 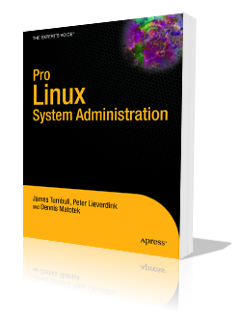 Linux runs as diskless thin client as easy as it does as server or workstation. Many users all share the same applications and resources on your server, saving you on administration and maintenance costs. Stop worrying about wireless network security by loading Linux onto a commodity wireless access point and thus upgrading it to a robust enterprise class access point. Use your secure central authentication database to control access to your wireless network. Linux includes many virtual private networking (VPN) technologies, so you can stay connected to the office, no matter where you are, no matter what operating system you use.